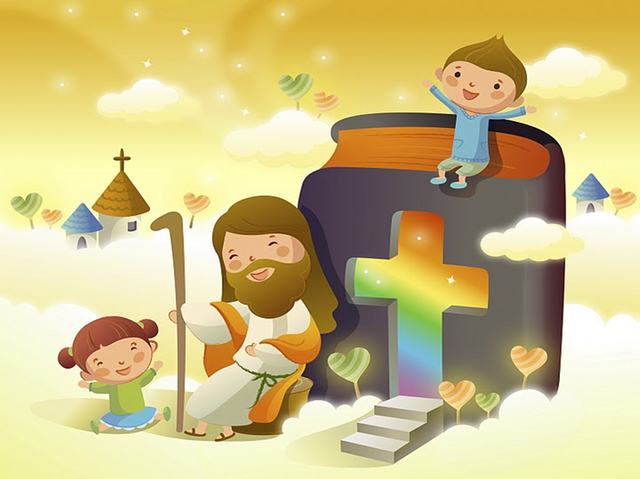 From the oldest God, he cared for the biblical teaching for the child. The first proof of this is that He was careful to organize an educational institution that will be responsible for teaching, from the earliest age of the individual "the home or family. It is understood that God's fundamental plan concerning the education of his people should begin at home. The fear of the Lord, the keeping of the statutes and the commandments, should be passed on from father to son, from generation to generation, so that the knowledge of God would be a constant among the people. The child occupied an important place in the bosom of the Israeli family. His education in the biblical precepts was a priority. In the case of the children, by divine order, it had to be constant and diligent. It is clear from the Scriptures that, according to the divine will, the Lord's commandments would be taught at all times (walking, speaking at home, at the table, on the roads, day and night, when the family was reunited). The child was given the opportunity to ask questions, which made teaching effective and more interesting. Later, in addition to the home, the children also learned from priests and prophets. Some of them were dedicated to God and given to priests to educate them. One of those cases is that of Samuel, who was handed over to the priest Eli, still new. The prophet was also an important figure in national education. Many young people were sent to the schools of prophets to study the scriptures and prepare to replace their predecessors. God prepared a reconciliation plan for humanity lost and distanced from its Creator. There was, therefore, a need to transmit to humanity the message of forgiveness, of faith and hope, as well as the precepts and norms for a life of communion with the Lord. For this, God separated Israel, a special people, so that he himself would transmit the divine purpose to other peoples. It was essential that the generations take knowledge of the events that occurred in the past, to be enriched in the present and not be forgotten in the future. The transmission of the historical inheritance was a matter that had to be taught to the child until he reached maturity and, consequently, conditions to transmit to the next generation. In addition to the history of the people, the idea of ​​knowledge of God, adoration and obedience to the Creator, recognition for their deeds, all these aspects were fundamental points in the education of the Israeli child. Thanks to such care from God is that the knowledge of the Almighty has reached our days. We understand from the Scriptures that Adam taught his children when they set out to offer their offerings to God (Gen. 4.3-4). It is true that Abraham transmitted the biblical teachings to his son Isaac still small. The proof of this is that the young man knew the whole ritual of the sacrifice, and when he went to Mount Moriah with his father, he felt a lack of the lamb for the holocaust (Gen 22.7). He was the lawgiver of Israel, he was educated in all the science of Egypt as the son of Pharaoh (Ex 2.10 and At 7.22). However, his childhood was influenced by the teachings of his own Hebrew mother (Ex 2,8-9), who did not neglect to teach him the divine principles. This served as the basis for not being contaminated with idolatry and keeping in the heart the fear of the Lord and the faith in one God, creator of all things. Despite having a Greek father who surely taught him about the mythology and philosophy of the time, Timothy also received teachings from the Scriptures (2Tm 1.5 e3.14-15) from his childhood from his grandmother and mother. These foundations were the basis of his faith and conduct, which made him a great evangelist when he was still young. The teachings of the Old Testament had resonance through the ages and the preoccupation to transmit the biblical truths to the children was one of the points observed in the synagogues even in the time of the captivity. 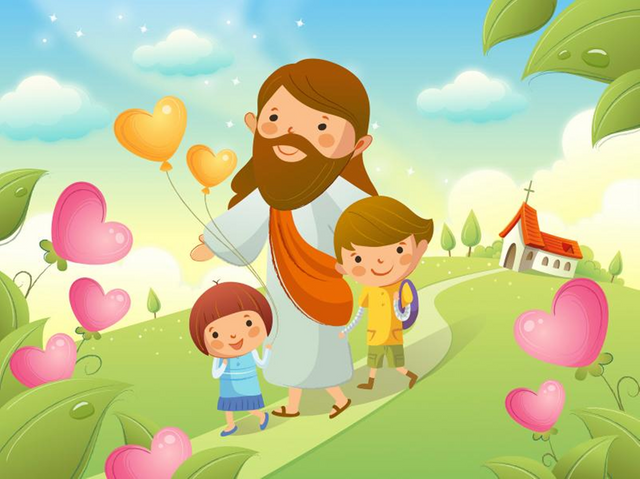 Jesus never excluded children from the crowds that came to him to listen to his teachings. He rebuked his disciples when they tried to exclude children from their cohabitation. In reading the letters of the Apostle Paul, we understand that teaching has always been a matter of relevance in the Church and in the home. Through the ages, the Church went through many trials, persecutions and even profound changes. However, God always remained concerned about the transmission of his precepts and commandments. Throughout history, we see that God has always raised men who are concerned and interested in education. Martin Luther, the illustrious Protestant reformer, for example, insisted on promoting education concentrated in the home, as recorded in the Old Testament. However, he acknowledged that state authorities should also develop educational programs for children by taking responsibility for helping parents in the education of their children. He suggested a curriculum that emphasized biblical studies and music, along with other disciplines. Another name is Juan Calvino, founder of the Geneva Academy, where children and adults were taught. He had the great concern of convening the church to return to the task of teaching children in the molds of the Old Testament. In the same way as the Hebrews in ancient times, the colonizers in the past centuries, when they came from Europe to live in America, made no distinction between religious education and secular education. Almost all families, if not all, were Protestants. They came to the New World fleeing from religious persecutions, in search of freedom to exercise faith in Jesus. The main reason to teach their children to read was so they could read the Bible. Thus, they tried to convey in a simple, but convincing way, a moral and spiritual heritage and a life in accordance with the biblical dictates. Each family was careful to perform domestic worship. The parents came to be obliged by law to teach the divine precepts to their children. If the parents do not fulfill their duty to teach, the community was responsible for transmitting a more adequate and effective teaching. This is how the first schools emerged to complement teaching at home. The richest were granted the privilege of hiring people to go to the house to teach the children. It is an incontestable fact that the Jews always rewarded for the education of their children. They considered education as important as prayer. This zeal for knowledge originated from the biblical precept recorded in Deuteronomy 11.19. Even today one can observe the care and concern in transmitting to their children the Law of the Lord and the precepts of Jehovah. They consider the priority child's education. We are also the chosen people of God. Thus, Christian education is also based on the same principles and rulings set forth in the Scriptures. The Church of Christ has as its primary objective the salvation of man and his preparation to live Jesus eternally. Education is the agent of change. For this, the Church proposes to teach the Word of God in a systematic, practical and progressive way, reaching people of all ages, mainly children. The educational institution of the church is the Sunday School. Biblical teaching, or better, Christian education should be understood as a task that is not limited to just a few hours of study on Sundays in the ED. 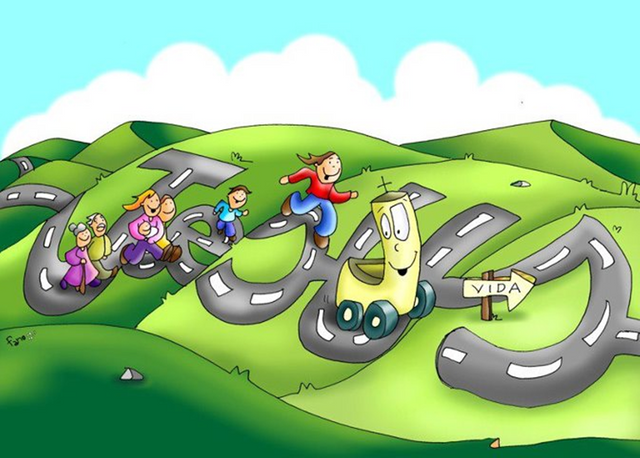 But, as a process, a continuous learning of beliefs and values, habits, attitudes, ways of feeling and acting in accordance with the will of God. Every Christian must become a jealous person, practicing good works with the objective of better serving Jesus and being able to influence the life of the community, of the society in which it is inserted. In this task, parents have the greatest responsibility. Society is going through a period of profound changes. As a result, homes are shaken in a disturbing way, which brings serious problems when it comes to the education of the individual. On the one hand, there is the need to search for means of survival, collaborating so that mothers also leave the home and dedicate themselves to some work to help sustain the family's economy. On the other hand, women who "wearing the clothes" of the desire for personal fulfillment and the search for a "space" in society, flee from their responsibilities as wife and mother. And even taking into account the excesses of the parents, the fights, the extra occupations, the separation of the spouses, who in the end arrive at the divorce most of the times. Great message Sister @Syramma, we trust that our children will be the voice of justice in the next generations. 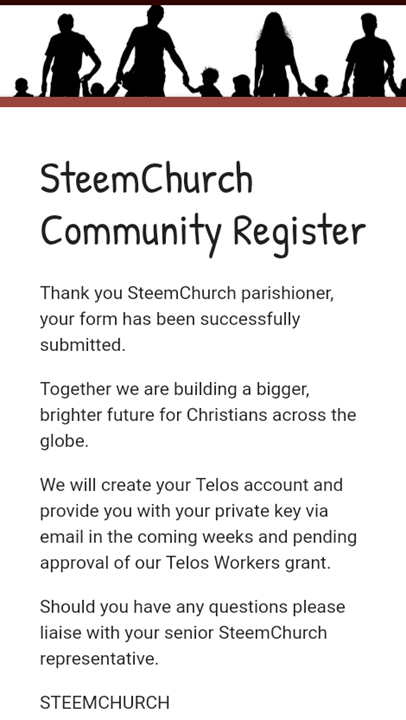 Thank you for registering at SteemChurch.